Although the top speed is limited to only 3 MPH (5 KPH), this slow speed fits the role of leisure and should eliminate any serious collision problems with tourists. 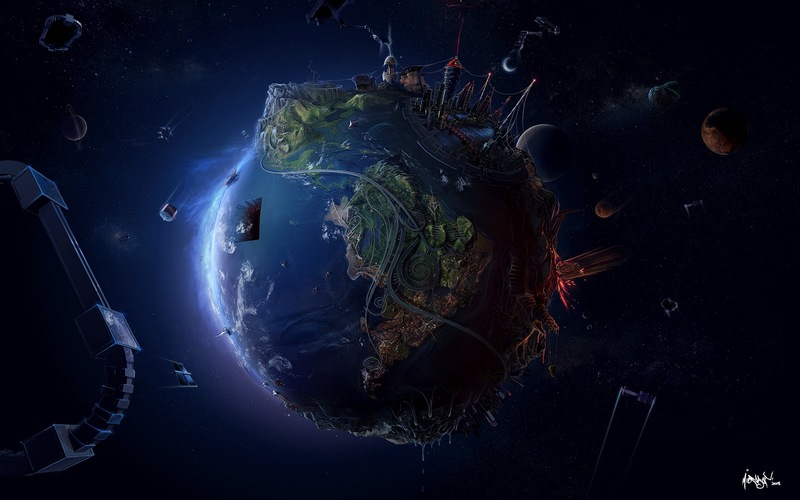 Many have claimed that such a submersible vehicle is only needed for the lazy but that is not true at all. One significant advantage to HydroBOB is the greatly reduced requirement of swimming skills and training. Not only does this underwater scooter allows the user to skip the swimming requirement but also there won't be a need for any restrictive diving equipment such as breathing masks. 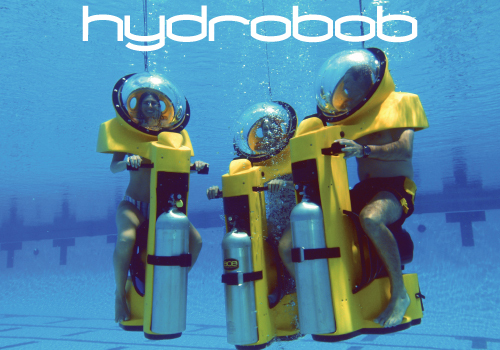 HydroBOB was first conceived and developed in 1991 by Andrew Sneath. Andrew Sneath who was born in Bromsgrove, England, is also known for his creation of the Roboshark for BBC. 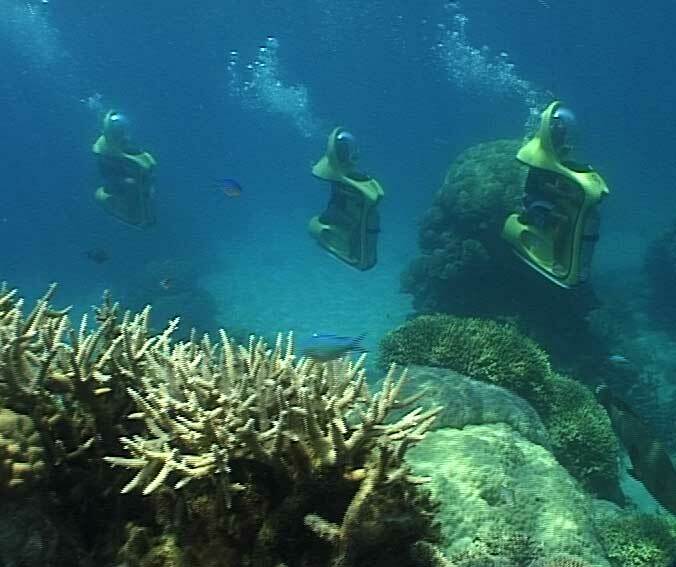 HydroBOB costs around $7,500 but the tourist industry utilizing this underwater vehicle should be able to generate returns greater than the initial price tag. Seen above are the Boss tours which began in 2002. The Boss Underwater Adventure based in St. Thomas, Virgin Islands is one of the more well known tours featuring the HydroBOB motorbikes. Since the invention of HydroBOB, there has been competition in the submersible scooter market. ScubaDoo is one of the larger competitors of HydroBOB with their manufacturer based in Australia. ScubaDoo can utilize a towed compressor to eliminate the need for an air tank but the compressor brings the total cost up to $17,000. This variant of the underwater bike is designed to be very user friendly and with great control within a foot. 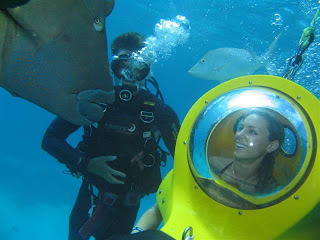 There has been mention of being able to feed the fish during a tour in a submersible motorbike. People that do apparently experience massive swarms of fish that completely surrounds them. I've seen similar stuff in the past but never an actual sea scooter! I bet there are plenty in Dubai! don't think it beats the experience of actual scubba diving, but still nice technologic. Haha that is awesome. Great name for them too. Expensive as crap though, ouch. Especially since you look like a loser in one lol. Oh wow, this seems like so much fun! It's too bad I'll never be able to afford one. Now that just looks silly. Although many won't be able to afford to buy a unit of these, there probably will be tours using these for a $20-$100 fee.